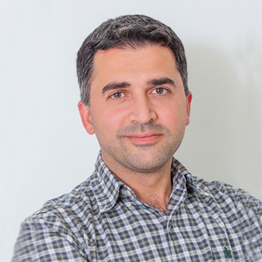 Korosh qualified as a Doctor of Dental surgery back in 2002 in Iran and in 2005 he achieved his postgraduate diploma in Dental Clinical Science from Queen Mary University in London. In 2011, Korosh obtained membership of Royal College of Surgeons of Edinburgh (MFDS). In 2016 he completed the Licentiate of Dental Surgery in Royal College of Surgeons of England (LDS) and Membership of Faculty of General Dental Practitioners (MFGDP) from the same Royal College. He also achieved a postgraduate award in aesthetic orthodontics from the University of London. Korosh has more than ten years of experience in various systems of Orthodontics with special interest in aesthetic dentistry and Invisalign treatment. Korosh is a member of British orthodontic society, British lingual orthodontic society, and European aligner society. In his personal time, Korosh enjoys going to the gym, swimming and reading comic books. Aesthetic Dentistry and Orthodontics, including, Invisalign, Damon Braces and lingual systems.